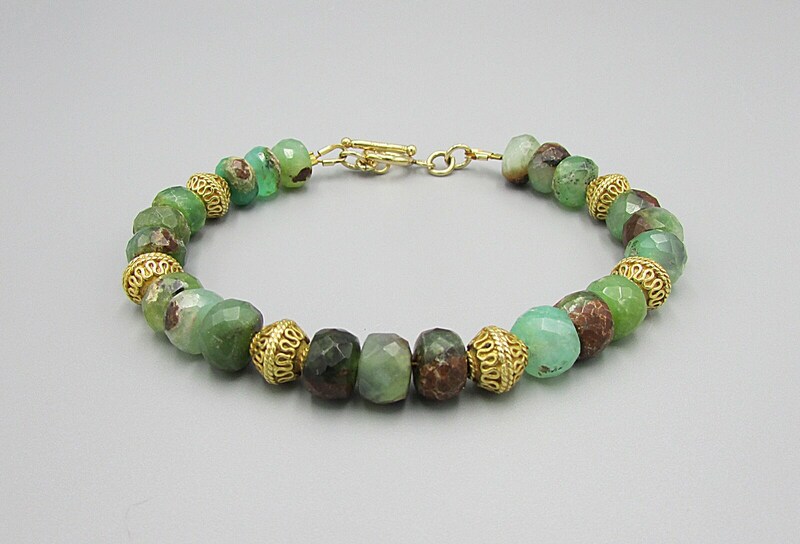 Beautiful chrysoprase and vermeil 8mm round bead bracelet made with 8 to 9 mm faceted rondelles and 8mm round decorative vermeil gold beads. 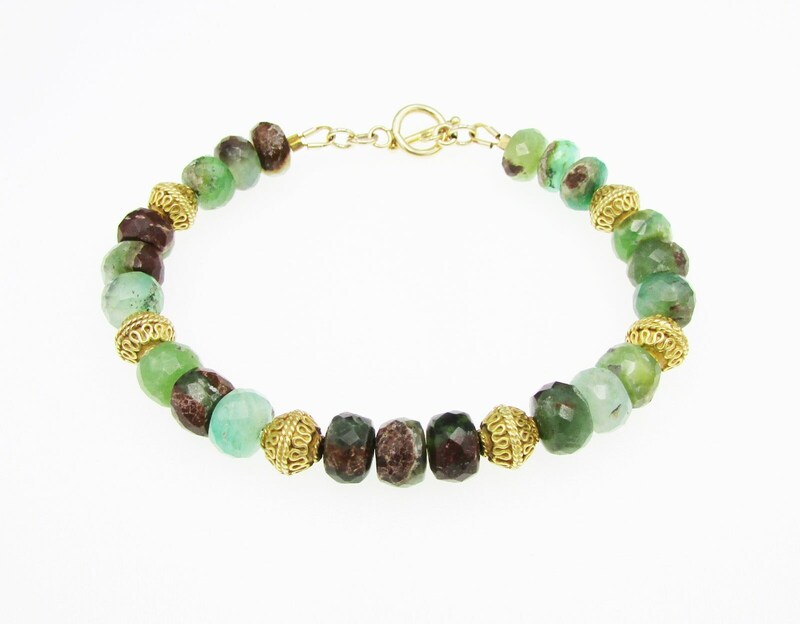 Vermeil is 14K gold plated sterling silver. 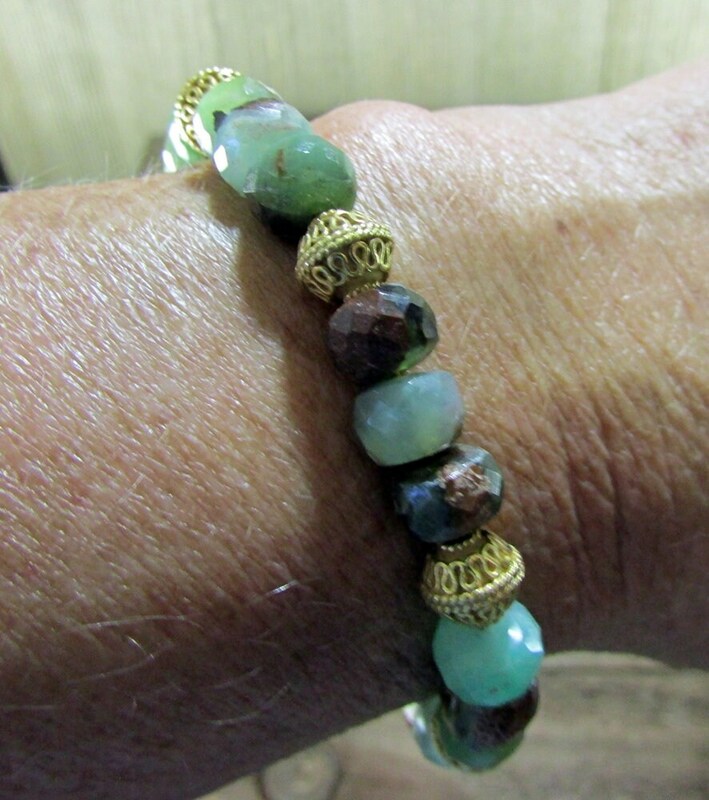 Bracelet is 7 1/2 inches long. 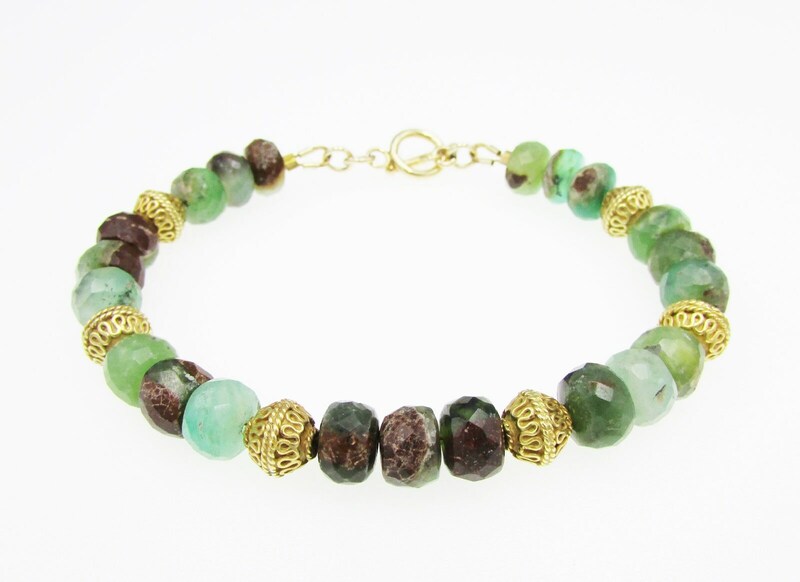 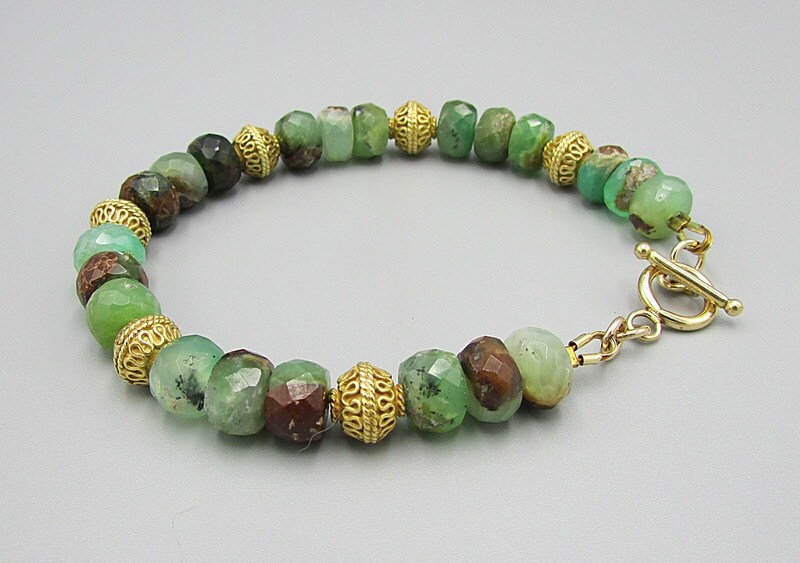 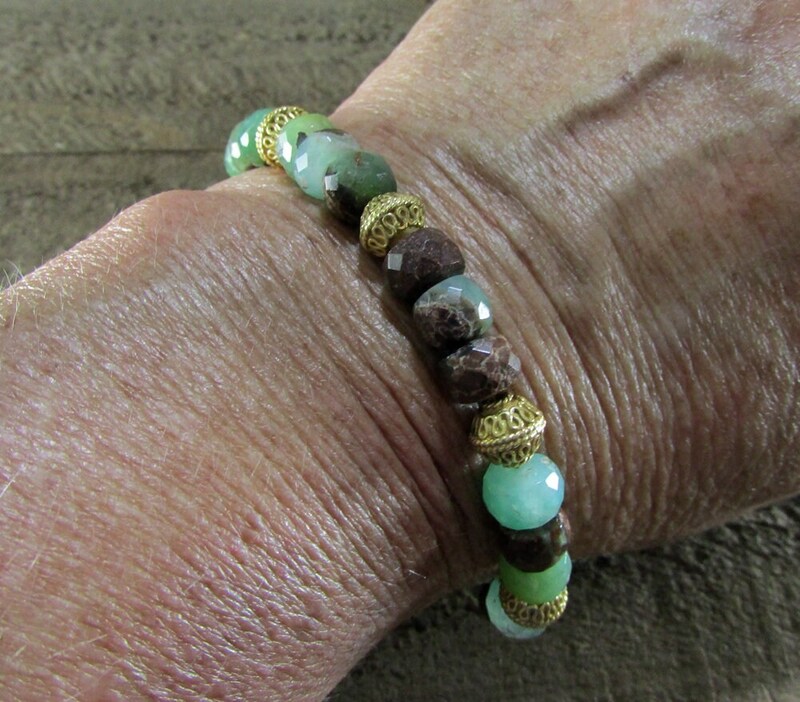 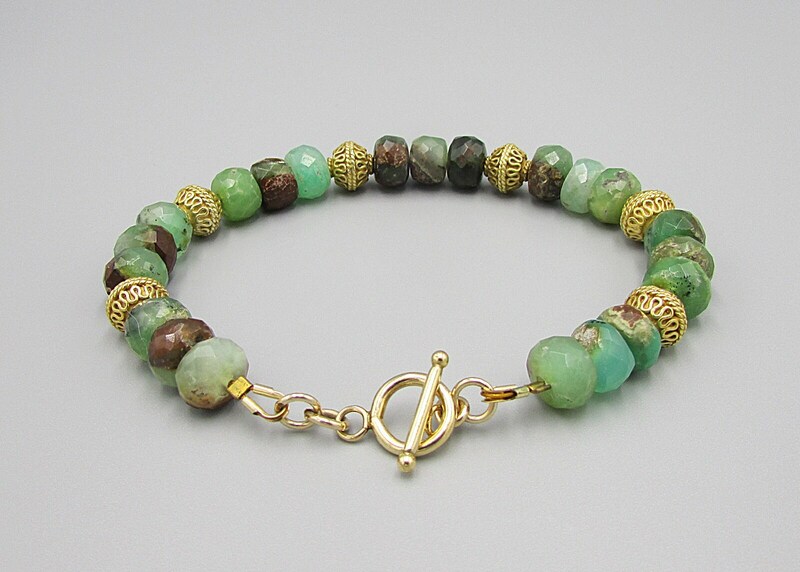 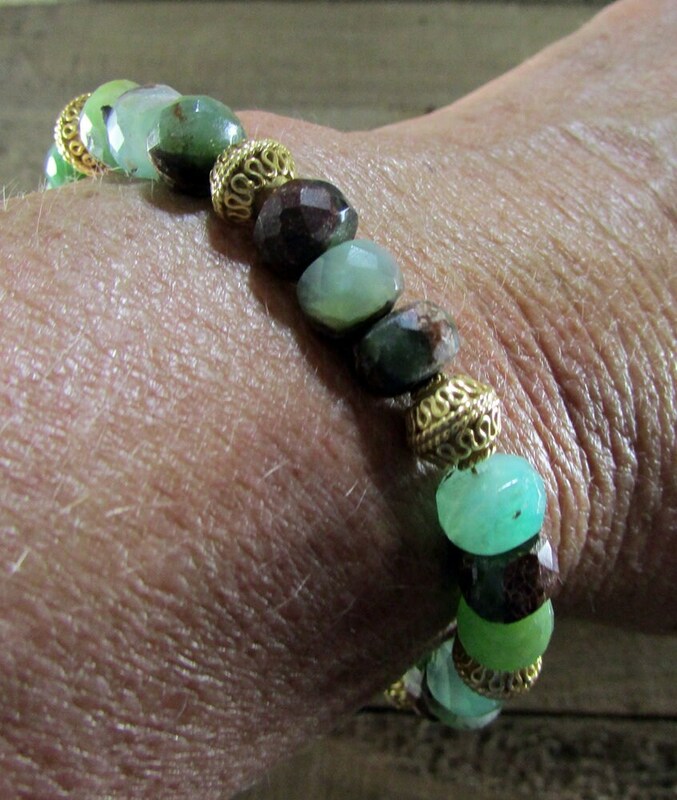 Chrysoprase is lovely shades of light green, dark brown, and light brown.